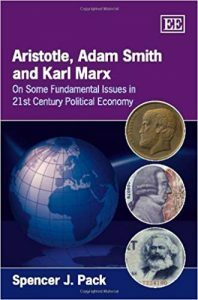 Marx, Capital, and the Madness of Economic Reason (2017) | Moral Markets? Karl Marx's Capital is one of the most important texts written in the modern era. Since 1867, when the first of its three volumes was published, it has had a profound effect on politics and economics in theory and practice throughout the world. But Marx wrote in the context of capitalism in the second half of the nineteenth century: his assumptions and analysis need to be updated in order to address to the technological, economic, and industrial change that has followed Capital's initial publication. In Marx, Capital, and the Madness of Economic Reason, David Harvey not only provides a concise distillation of his famous (online) course on Capital, but also makes the text relevant to the twenty-first century's continued processes of globalization. Harvey shows the work's continuing analytical power, doing so in the clearest and simplest terms but never compromising its depth and complexity. 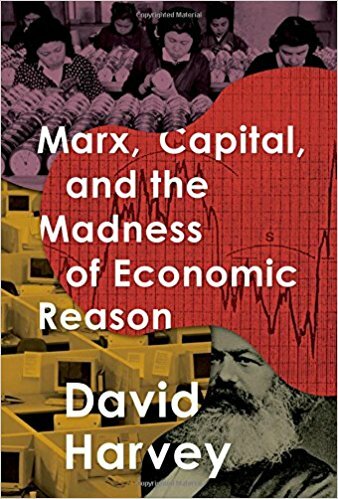 Marx, Capital, and the Madness of Economic Reason provides an accessible window into Harvey's unique approach to Marxism and takes readers on a riveting roller coaster ride through recent global history. 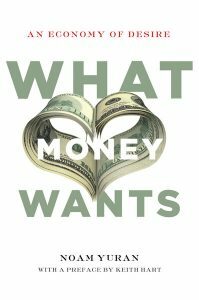 It demonstrates how and why Capital remains a living, breathing document with an outsized influence on contemporary social thought. "in heralding capitalism’s demise is a contradiction he elaborates on in this book: the phenomenon of new alienation. Marx set out in his account of alienation (the labourer who creates value is separated or alienated from both what she makes and the surplus value created by her, which is appropriated by the capitalist). These days, it’s not just the have-nots who are revolting, but the haves, at least in countries such as Brazil and Turkey where the urban, educated middle classes reject the regimes from which they have materially benefited. What they yearn for, Harvey suggests, is not being bought off with material goods, not the compensatory consumerism that 'limits and imprisons rather than liberates the horizons of personal fulfilment' but dignity. [...] Harvey’s book [...] lays out the main arguments and insists on the relevance of Marx’s Victorian tome to a global capitalism very different from the one Marx analysed. This book is also, however, when necessary, a creative betrayal of Marx. For instance, he imagined (apparently without irony) that the creation of new wants and desires was part of capitalism’s civilising mission. Harvey takes that endless manipulation to be our spiritual degradation as do the heretical neo-Marxists of the Frankfurt School. [...] To read Harvey’s devastating indictment of how we live today is to doubt as never before our prime minister’s conviction that free market capitalism is unquestionably the best means of increasing the living standards of everyone." "Harvey uses Marx’s work as a toolbox from which he updates and applies diverse concepts to illuminate the contemporary contradictions of capital. Harvey’s analysis is impressively wide-ranging, covering topics as varied as global natural resource consumption and Chinese economic policy, the Greek debt crisis and proposals for new trade agreements such as TPP and TTIP. [...] Harvey’s new book invites the reader to enter into the conceptual world of Marxism and encourages a critical distance from the language of economic necessity. [...] Meant as a ‘guide,’ Harvey places particular emphasis in this book on the clarity of language and accessibility for a general reader. Particularly in the first chapter, Harvey seeks to explain key concepts in the vocabulary of contemporary Marxism through basic examples, such as the exchange of shirts and shoes in the market. [...] And yet, at crucial moments, Harvey seems to forget the general audience for whom the book is intended. [...] Likewise, Harvey states in the opening chapter that ‘the only way to be true to my mission is to tell the story of capital in Marx’s own language’. And yet the rest of the chapter is surprisingly light on citations of Marx’s work. [...] It seems then that we are confronted not with Marx’s language or even Marx’s thought, but rather Harvey’s revision and systematisation of it. [...] Finding a solution to the manifold crises of capital is certainly an imperative, but it remains a question if Harvey’s conjuring of the Ghost of Marxism Past will ultimately provide the appropriate conceptual apparatus to do so." expectations and speculation in supporting the money-economy. [...] Harvey’s visualization of capital as a totality is illuminating, as is the concept of anti-value he places at its centre. But one gets a sense that Harvey has not quite thought through these ideas. He completely ignores, for example, the other major form of debt – or anti-value – in the capitalist economy: labour. [...] Madness is not presented as an academic text, but at times it seems that Harvey forgets this. 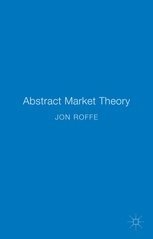 Not only are his natural science analogies highly complex [...], but he also uses abstract terminology, and presupposes more background knowledge of both Marx and economic theory than he seems to realize. Nor can we really say that this book is a summary of Marx’s work in Marx’s language like Harvey contends. Rather, what we have is a systematization of Harvey’s thoughts on Marx, presented through the conceptual framework Harvey has been developing for decades." Interested in more videos with Harvey? You can find them on David Harvey's personal website. 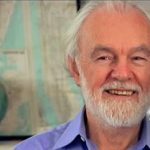 David Harvey is Distinguished Pr ofessor of Anthropology at the City University of New York Graduate School where he has taught since 2001. He earned his Ph.D. from Cambridge University and was formerly professor of geography at Johns Hopkins, a Miliband Fellow at the London School of Economics, and Halford Mackinder Professor of Geography at Oxford. His research interests are cultural anthropology, urbanization, environment, political economy, geography and social theory, and advanced capitalist countries. His books The Enigma of Capital, Seventeen Contradictions and the End of Capitalism and The Ways of the World were published by Profile in 2010, 2014 and 2016 to international acclaim.